Created by Kathy Moorehead for kinderGATE, Napa Learns, and Learnovation Lab. Please feel free to use and share but give attribution to me and link back to this site. 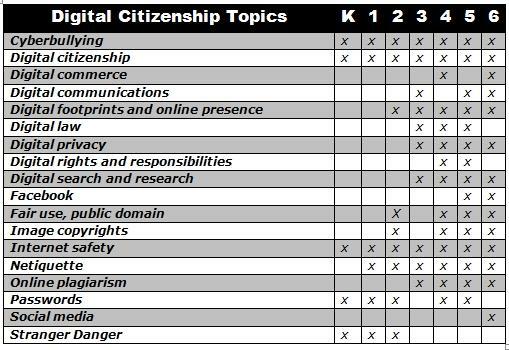 Common Sense Media is a good resource for lessons on digital citizenship. In my research, I also found these resources at the Structured Learning website. 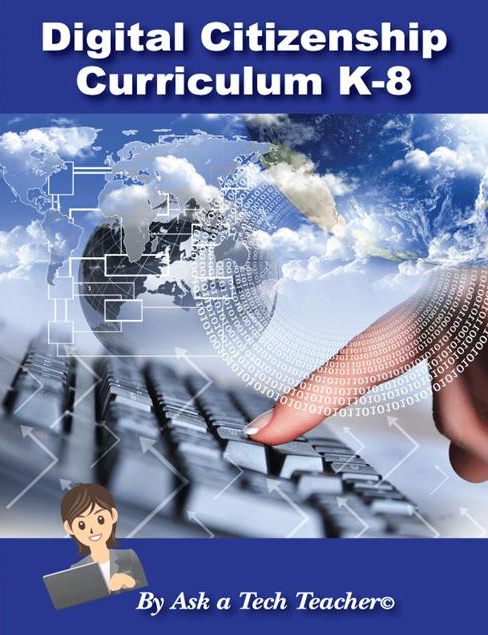 There are lesson plans here from K-6 and you can see which standards are covered at each grade level. Next year I will be working on modifying some of the older grade lessons down to the kindergarten level. You can click on the book cover above to bring you to the website where you can order it in print or digital form. YouTube and Google Education have also created a series of lesson online which can be accessed here by clicking the button. Cyberbullying is really just a 21st Century form of playground bullying. The stakes have obvioulsy been raised, but the child still has the same needs. Something is going on in their lives that is causing the bullying behavior. If you or you school have a problem with bullying, a great resource exists at ﻿﻿Soul S﻿﻿hoppe. Soul Shoppe was created by a teacher named ﻿Joseph Savage﻿ who was bullied as a child and subsequently became a playground bully. He grew up to recognize his own journey and turn the ship around. Now he teaches bullying prevention measures to both lower and upper elementary kids. I highly recommend his service if you are having this problem, and even as a preventative measure. He has a unique way of getting the most troubled kids to open up about what is going on with them. Watch as he explains the "Tools of the Heart" called "The I Message" and "The Cleanup". There are so many more great resources on the ﻿Soul Shoppe﻿ website. 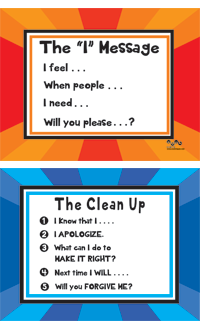 I use the I Message and the CleanUp cards shown below on a daily basis in my kindergarten classroom. Rather than listening to what happened and becoming the judge and assigning blame, this system allows the children to talk about their feelings and figure out next steps. It is a little gold nugget that I am happy to share with you here. Although what I have shown you here applies mostly to the lower elementary level, I began working with Joseph at the upper elementary level, and I have seen him reach junior high kids that truly needed his help. Please check out the upper elementary resources on his site. Here is a short video of the kinderGATE kids in action using their Soul Shoppe skills.